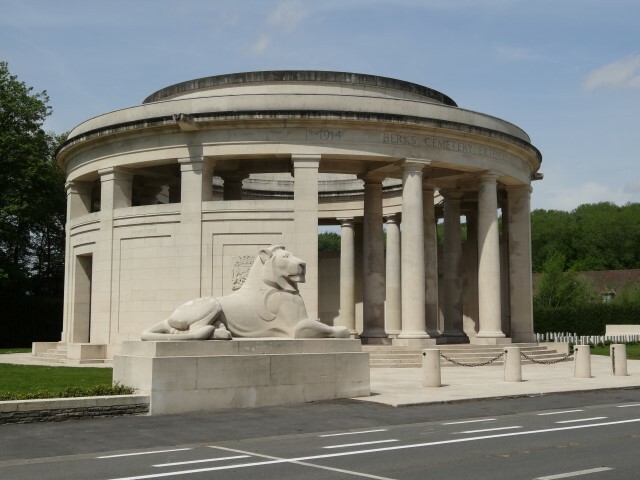 48282 Private John Williams, 1/5th Battalion, North Staffordshire Regiment was killed in action 17 April 1918 and is commemorated on the Ploegsteert Memorial, Belgium. He was 40 year old and is commemorated on the Etherley War Memorial and the Roll of Honour in St. Cuthbert’s Church, Etherley. John Williams enlisted at Bishop Auckland. He joined the 1/5th Battalion, the North Staffordshire (Prince of Wales’s) Regiment and was given the regimental number 48282. To date, the service record of Private J. Williams has not been traced and the date he enlisted is unknown. It is likely that it was after 31 December 1915  and it is probable that he was conscripted by virtue of his “advanced years” as the demand for men increased during 1917 and 1918. 11 February 1918: The Division took over the front line at Bellecourt and much work was strengthening defences in anticipation of a German attack. 21-23 March: The Battle of St. Quentin: After suffering heavy casualties from German shellfire on 21 March, the enemy infantry succeeded in breaking through the Division’s position where it met the 6th Division at the valley of the River Hirondelle. Fewer than 100 men of the 176th and 178th Brigades which had been holding the line before the attack assembled at roll call. 24-25 March: The Battle of Bapaume: The next 10 days were chaotic as individuals and parties reassembled going westwards via Bucquoy, Bouzincourt, Contay and Fienvillers to Villers-Chatel. 1 April: the remnants of the Division moved by train to the Poperinge area and new drafts of men arrived. 5 April: The Division took over the front line in the Passchendaele area without having any real opportunity to assimilate the new men let alone train them. 13 April: The Division was ordered to reinforce the Lys area which was under terrific enemy attack. The 177th Brigade came under the orders of the 19th (Western) Division north of Neuve Eglise and the rest moved to Westouter to hold a 6000 yard long line near Loker. The line was very thinly held. 14-15 April: The Battle of Bailleul: Units came under a violent attack and the enemy broke through on the left and the British Line crumbled. Bailleul fell and the 176th and 177th Brigades fell back in disarray on Mount Noir. Losses were heavy. 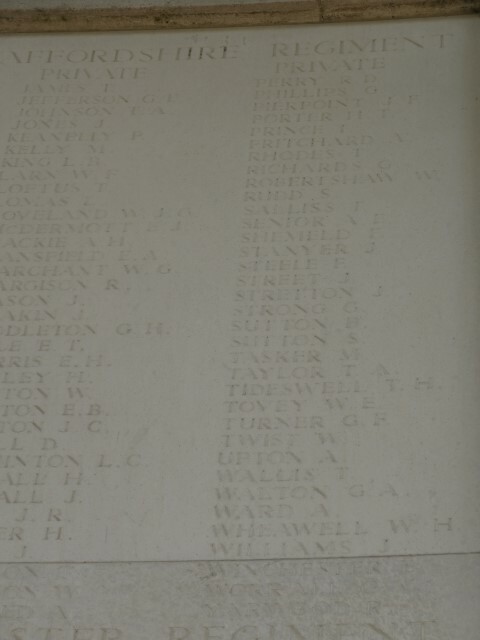 Private J. Williams was killed in action 17 April 1918 and has no known grave.